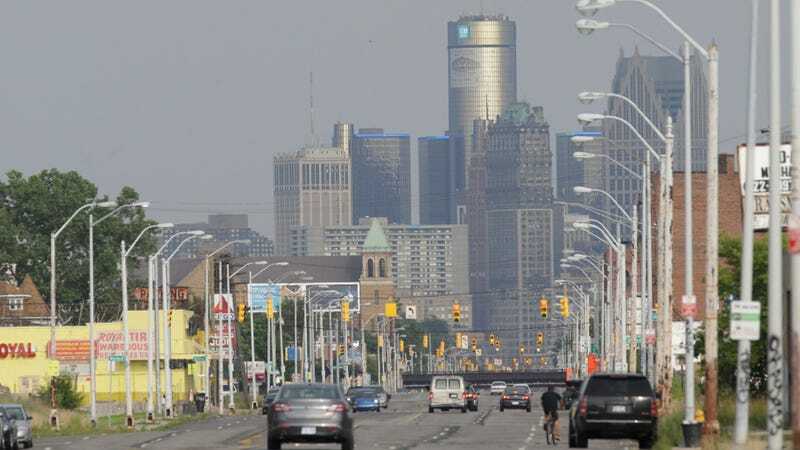 Like I said yesterday: You didn't expect the Detroit Bankruptcy to happen without drama, did you? Today a circuit court judge ruled the bankruptcy filing unconstitutional and ordered it withdrawn. That won't stop the bankruptcy proceedings, however. The Detroit News and WXYZ report that Ingham County Circuit Judge Rosemary Aquilina ruled today that the filing violates the state's constitution because it will cause "irreparable harm" to the state's pensioners, who stand to get rather screwed in this whole process. You'll recall that yesterday, pension fund advocates who oppose the bankruptcy attempted to halt the proceeding but were bamboozled by pro-bankruptcy Gov. Rick Snyder's own attorneys. Does Aquilina's ruling mean the bankruptcy won't happen? No, because she's a local judge, and as the News reports, bankruptcy is a federal matter; federal law is likely to be triumphant here. But state-level legal wrangling could delay the process. This is just the first of probably many fights over the Motor City's bankruptcy, both in the courtroom and in the court of public opinion. Don't expect this to go smoothly. Meanwhile today, the White House made it clear that no federal bailout is coming for the city. That stuff is only for banks and car companies, mmkay?